Materials: Dark blue/cobalt blue crystal glass and white/opaque glass. Chromed metal and chromed metal parts. Bakelite sockets. Many companies with the name Veca exist in Italy. Veca is a common surname in the north of Italy and also on Sicily. But about the lamp factory is no information to be found. Veca produced many chandeliers and other lamps in this style, all in the 1960s and 1970s. 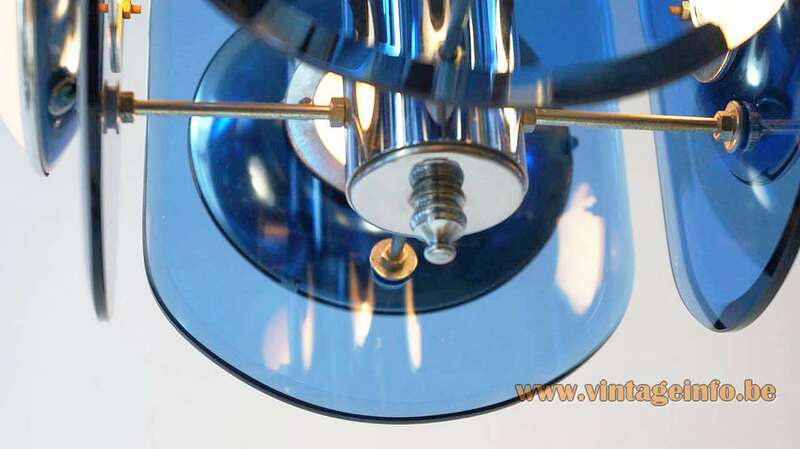 It reminiscence to the FontanaArte and Cristal Art lamps, but they are different. Typical is the use of green and/or blue coloured glass and chrome. Chandeliers with discs were made in huge numbers on the Murano island in Italy. They are all hand blown and rarely made of cut glass. 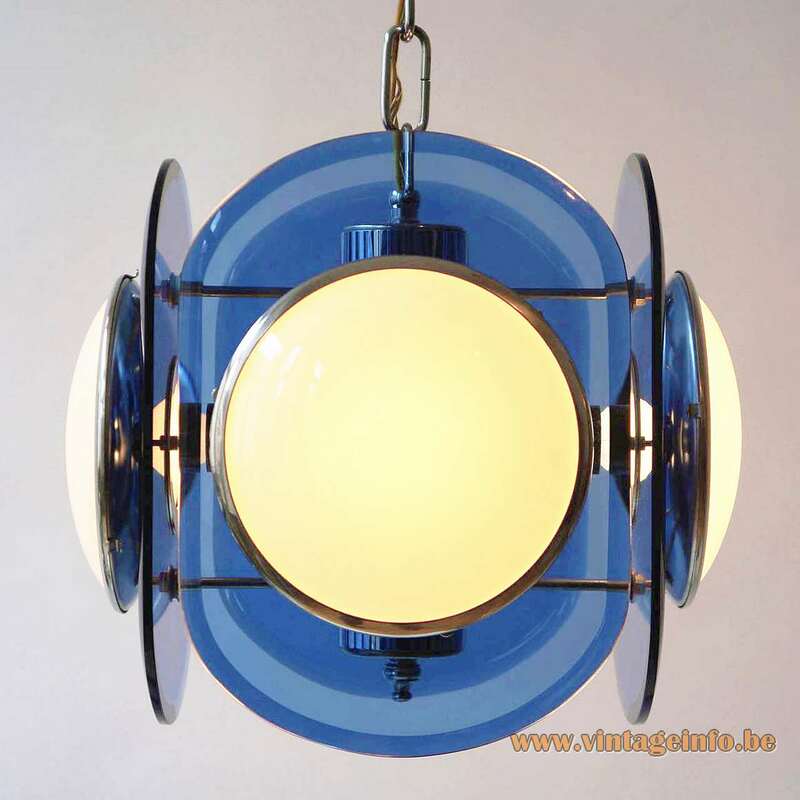 A similar pendant lamp was made by the Italian company Lupi. It was labeled Lupi Cristal Luxor. Lupi made several lamps in the Veca style.